Here we provide simple models to explain some of our delivery concepts on a no-fee basis to unfamiliar Project Leaders. This way they can test their need in a non-commercial environment. More customised versions of the simple models below are available based on your individual company’s processes through our Subscription Packages. Now is a great time of the year to ‘future-proof’ complex projects to get your team off to a flying start in 2019 and book a free one-to-one project review. Avoid the usual deluge of project spreadsheets and cost recovery issues in 2019 – and the risk of missed deadlines, financial penalties and claims. Book your free webinar to get fresh insight into stress-free project management – to resolve your ERP project control, staffing and systems issues from the very start. 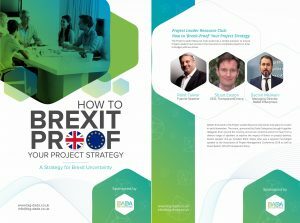 DOWNLOAD YOUR FREE COPY “How to ‘Brexit-Proof’ Your Project Strategy” guide to be able to fully exploit the Brexit transition period. Following on from the prestigious event at the IoD (Institute of Directors), covered in the press, DADA have released an E-book to explain the Brexit timeline, scenarios and their impact on your supply chain, cost base and resource pool. 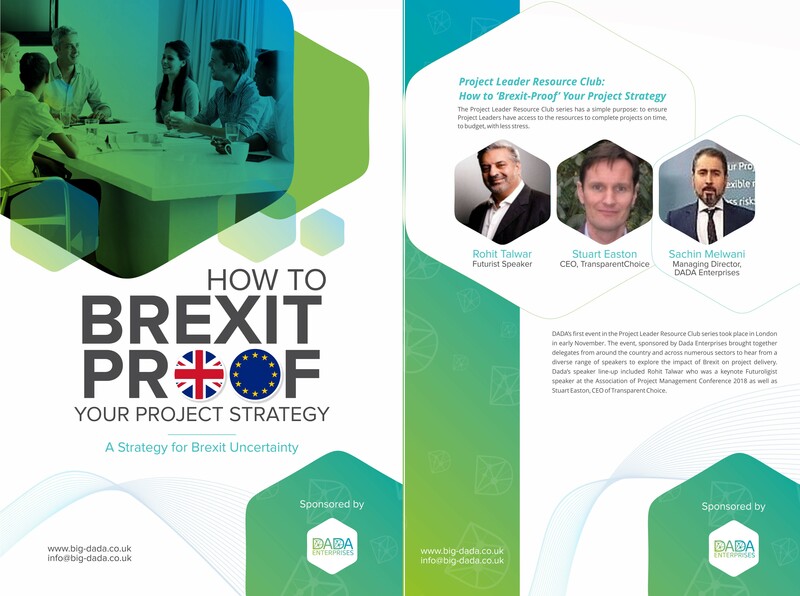 Dada’s speaker line-up included Rohit Talwar who was a keynote Futuroligist speaker at the Association of Project Management Conference 2018 as well as Stuart Easton, CEO of Transparent Choice. Here is your copy of the E-Book giving you a head-start in understanding the Brexit timeline, the situation envisaged by the Withdrawal Agreement during and after the transitional period, as well as under a “No Deal” scenario. We also provide tips on how to manage the resource impact as well as mitigating the trade friction impact. 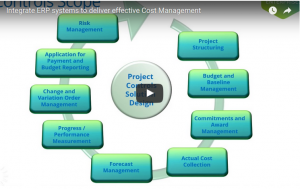 Project Controls systems overview: What Cost Management system should I buy? Finding software can be overwhelming. Although DADA will soon be releasing news of obtaining Qlik partnership status we still want provide impartial advice to clients on finding the best Business Intelligence (BI) Tools for their organisation. Choosing a BI vendor is all about finding the ‘right’ fit. Here we’ve made available a free Best Buy Vendor report to choose the ‘right’ BI Vendor to be able to track project performance and make decisions based on data-driven insights. Digital Business Platforms (DBPs) consist of managing digital processes, applications, and transactions in a mostly electronic manner and do so by leveraging the latest or emerging digital technologies. The Aragon Research Tech Spectrum evaluates 23 key providers who are leading the charge in the DBP market…and guess what? 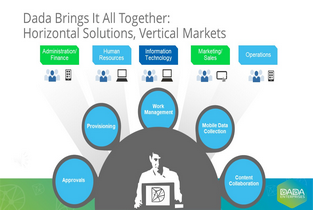 Dada Enterprises are Technology Partners with many of them. Download the FREE Dada Project Manager Maturity Assessment tool-set. Share your results and build on them. Although this simple model has been developed to explain the concept on a no fee-basis we usually provide this via an on-line questionnaire as part of our Subscription Packages based around your company’s processes. A portfolio, programme and project management (P3M) Maturity Model is a reference guide for improving performance in portfolio, programme and project management. It categorises portfolio, programme and project management best practices into key areas to enable organisations to assess their current level of capability within each area. Use our P3M3 assessment to determine their strengths and weaknesses in delivering change. RICS report "BIM for Project Managers"
Rich with information, architects are using BIMs for all sorts of design-centric tasks – energy analysis, sun studies and specification management to name a few. Given the success of BIM in the design realm, building firms are turning to BIMs for their own uses, such as constructability analysis, trade coordination, clash detection, quantification and cost estimation. BIM for Project Managers – which provides market insight into organisational strategic issues and the role and functions of project managers in BIM implementation. The RICS (Royal Institution of Chartered Surveyors) paper “BIM for Project Managers” also looks to the future, at how roles might evolve as BIM continues to develop. Overview of the NEC3 Main Options. There are six main options as set out below. The Contractor carries the greatest risk under options A and B, and least risk under options E and F.
Overview of the main NEC Compensation Clauses. An Early Warning is one of the most important management tools contained within the NEC3 ECC contract. Simply put both the Contractor and the Client are each obliged to warn the other as soon as either is aware of a matter that could effect time, cost or quality. The following process chart sets out the common scenarios on how a Early Warning is raised and validated as well as the relevant NEC3 form used at each stage. There are 4 Phases to this process (1) Raising of Early Warning Notice (EWN), (2) Validating a Compensation Event (CE), (3) Review of CE and Quote and (4) Instructing a CE. Free Data Policy template to get you ready for GDPR? To help you prepare for the GDPR, here at Dada Enterprises we have developed a Data Protection Policy template specifically designed for compliance with the GDPR. Why is this important? If a company doesn’t comply with the Data Protection Act enforcement notice thy could be fined up to £500,000. To The Policy is high in detail and, in many areas, reproduces key provisions from the GDPR itself with a view to being as informative as possible. 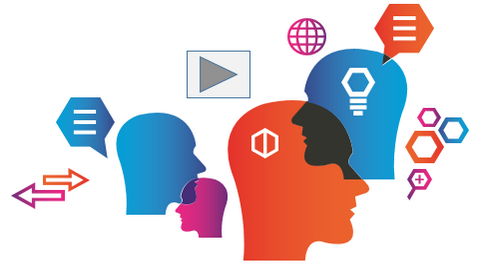 ON-DEMAND WEBINAR: Focus on the end result. How Project Controls can save you money and ensure successful project delivery? Start your infrastructure projects with a clear understanding of what you want to deliver. (a) Know what has to be done; (b) Know how actual performance compares against your baseline; (c) Know what remains to be done; (d) Identify and implement corrective actions; and (e) Check results of corrective actions. Deliver projects successfully at lower costs. This video shows the business perspective and benefit of an integration of enterprise systems like the exchange of: master data, structures, networks as well as dynamic data like forecast work, cost revenues & budgets, time postings and actual costs. 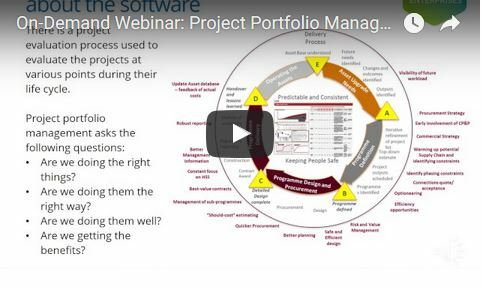 How Project Portfolio Management (PPM) gives companies a “bird’s eye” view of upcoming, current and past projects. Real-life examples of best Practices for PPM reporting focusing on Variance and Exceptions. How to write a Report Specification to get Automated Portfolio Status reporting, combining source data from different systems. An overview as to which Cost Control solutions can be supplied though PPM reporting. 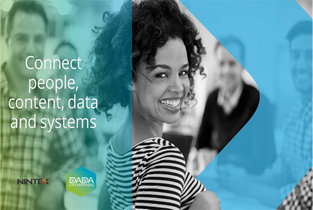 Get Robots to deliver your Projects...The DADA APP connects your People, Data & Systems in a few clicks. Get in contact with us to try for FREE! Automate your processes and workflows. We’ve already created template workflows to give you a head-start. Sorting and sifting through spreadsheets or piles of paper takes time. 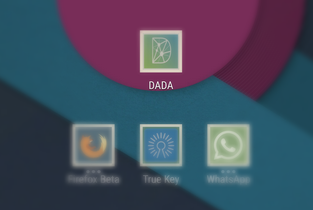 Dada makes quick work of “what goes where,” so the systems that keep your company moving move even faster. By automating processes, you can ensure appropriate review and reduce the risk of internal fraud and better manage cash flow. When projects get stuck in the approval process, it can lead to missed deadlines, poor customer service, and other bottlenecks for downstream projects. Automating workflows can keep everything running on schedule. See the Dada App platform in action and put commercial and construction process in its place with automatic workflows. Connect people, content, data and systems, in a few clicks. ON-DEMAND WEBINAR: Get our Robot to do your Safety Inspections. In this webinar Nintex and Theobald Software will provide an overview on SAP integration possibilities using the Nintex Workflow Platform and Theobald’s ERPConnect Services. In a live demo we will show you how to connect SAP and Salesforce using the Nintex Workflow Cloud. We will also provide insights on how your SAP integration could work with Nintex for Office365. HR is a very “paper-heavy” function with 50% of HR departments’ time spent processing employee information. Watch our Webinar on how you can implement Big Data and Workflow Automation to get new employees to get right to work – on day one! 50% of HR departments’ time is spent processing employee information. 40% of their time is spent on administrative work. It’s time to make HR great again! Take our challenge to see if your company can automate processes to allow new employees adding value – on day one. Why use Nintex to improve HR processes? Trusted by managers from 15,000+ companies in 150 countries. Pipefy’s growth is in the top 2% of SaaS companies. Pipefy is ideal for managing medium to high complexity business processes, where speed to value is critical. The “no-code” approach to deployment and management means technical resources are minimal and total cost of ownership is much lower. Pipefy enables agile process management by empowering subject matter experts to control workflow. Pipefy’s speed-to-value deployments have been demonstrated by past databases being built specifically for Global 100 Companies and delivered within 2 weeks. Their customers are better positioned to respond quickly to changing operational dynamics while still ensuring standards of execution. Pipefy offers many advanced features that enable you to manage all your company’s sales and CRM processes and centralize them in a single place. 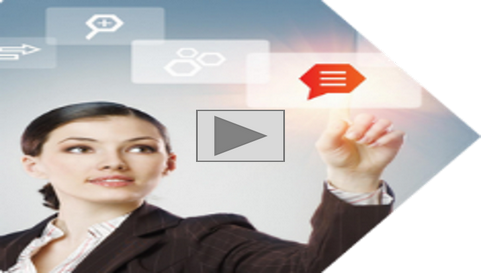 Click here to see this webinar on how to optimise your sales & CRM processes with Pipefy. Learn all about how you can explore these features to optimize your sales team’s performance and boost your sales results. Pipefy’s Free Process Mapping Template was specially developed to help you map, evaluate and manage all your processes! Pipefy’s Sales Pipeline Template was specially developed to enhance your team’s focus and productivity. It’ll guide them through all the steps of the sale: from prospecting, to properly qualifying hot and cold opportunities all the way to effectively closing the deal. Pipefy’s Free Design Thinking Template is a step by step process, specially designed to guide your design thinking and problem solution process. Pipefy’s Free Sprint Template was developed to help you analyse and solve the most challenging issues you could think about within Agile and SCRUM environments! Contact us to challenge us to develop a Proof Of Concept free for your deployment! The assurance assessment toolkit is intended as a reference for assurance practitioners to help provide a measure of their confidence in the potential for a project (or programme or portfolio) to succeed. While assisting assurance practitioners to be thorough when performing assurance, we rely on their professionalism to adapt this guide to the circumstances of the project to be assured. The assurance assessment toolkit provides a common generic basis for the assessment of portfolios, programmes and projects (hereafter generally referred to as projects) of all sizes, in all sectors, at any project life cycle phase and at all levels in the supply chain. The toolkit can also be successfully applied to sub-projects or work packages in a project. It can be used by independent assurance providers or project teams both for self-assessment of their projects or as a checklist to support the development of their approach to managing and assuring the project. A number of default roles are defined in PRINCE2. Practitioners can tailor them based on their project environment, as long as they follow some rules; e.g. the Executive and the Project Management roles shouldn’t be merged into one, while some others may. Within our Subscription Packages we provide trained risk facilitators who can hold workshops to quantify, identify and help you manage your risks, opportunities and issues. At Dada Enterprises we use our P3M3 and Risk Maturity Models as well as other assessment tools to design Project Controls Systems to manage Project Delivery, the Application for Payment and Fee Schedule. Whereas the Risk Maturity Model (RMM) was designed to be used more at the Programme Level some Engineering Leaders wanted a more high-level questionnaire that could be run at the Enterprise Level. For them we have created an extract from a compliance test that we usually tailor to individual client’s processes and industry. Once again this would ideally be done via an on-line questionnaire as part of our Subscription Packages but a simple extract was developed to further introduce the basic concepts on a no-fee basis. Overview on risk, issue and opportunity management process. The inputs and outputs to each stage. Within our Subscription Packages we provide trained risk facilitators who can hold workshops to quantify, identify and help you manage your risks, opportunities and issues. We have many techniques for risk reporting dashboards and tools for carrying out Quantitative Schedule / Cost Risk Analysis. However we developed this simple overview to introduce the concept on a no-fee basis for companies who may not have yet a mature in-house risk management team. A Risk Maturity Model (RMM) outlines key indicators and activities that comprise a sustainable, repeatable and mature enterprise risk management (ERM) programme. Use our risk maturity assessment to identify current strengths and weaknesses of your risk management implementation. Manage Your Risks! Use the project Risk Register for the day to day management of the risks in your project – It just may be the most useful tool in your PM toolbox. The Risk Register contains a listing of all risks identified for a project. Since It includes Risk Scores, Risk Waterfall charts, Responses, triggers and Risk Owners it is a critical tool for Project Managers. Within our Subscription Packages we provide useful macros which allow users to consolidate multiple risk registers together, risk reporting dashboards and tools for carrying out Quantitative Schedule / Cost Risk Analysis. However we developed this simple template to introduce the concept on a no-fee basis for companies who have not invested yet in risk management software yet. Overview of some of the most common techniques for identification and assessment. Read our quick guide on what is Enterprise Risk & Value Management. Dada Enterprises provides an overview on how Risk and Value Management (R&VM) can provide a structured approach to ensure that value is created and protected through the proactive management of risk in a prioritized, consistent, effective & efficient manner at all levels. Oracle have provided a very useful ‘ Cumulative Features‘ comparison spreadsheet. This spreadsheet allows you to compare and review changes from one release to the next for Primavera P6. So if you’re a Primavera Administrator, IT Applications Owner or Planning Manager then you can put in your Current release and then compare it against the potential Target release (note: this does not have to be v17.7) and you get a report (in excel) of the delta functionality. This allows you to then decide which progressive release is ‘right’ for you. Here we also include a more detailed ‘presentation’ document given by Oracle to support the release. What’s new in Oracle Primavera v18? Following on from our previous article on the new features included in Primavera v17 we’re providing an update on the summary features of Primavera v18.8 as this will be a significant release for on-premise users as this brings together some of the features of earlier 18.x versions previously only available to Oracle cloud users ~ yes there’s been 8 releases of v18 just this half-year alone hence delaying to write this update. So firstly in the article you can download below we’ll go through each earlier iteration first as on-premise users will get these for the 1st time with v8 and then say what’s new specifically to v8. Oracle have provided a very useful ‘ Cumulative Features‘ comparison spreadsheet. This spreadsheet allows you to compare and review changes from one release to the next for Primavera P6. So if you’re a Primavera Administrator, IT Applications Owner or Planning Manager then you can put in your current release and then compare it against the potential Target release (note: this does not have to be v18.8) and you get a report (in excel) of the delta functionality. This allows you to then decide which progressive release is ‘right’ for you. A video has been released by Oracle on the new features in HTML5 in Primavera P6 EPPM. Moving from Java to HTML5 P6 v18 continues the process of removing Java-based applets from the application in exchange for pages written in HTML5. The benefit is that HTML-based pages load faster and do not require additional plug-ins. 1. Use the Grid to add, edit, and view items on the page, such as resources. 2. Select or hover over an item, and the Row Actions menu becomes available with functions that can be performed on that item. For example, use the menu to cut, copy and paste resources. 3. Use Detail Windows to view and edit the properties of the selected item in the grid. 4. The Toolbar contains various buttons and menus. Features common to many pages include Print and view Full Screen. 5. The Toolbar often contains an Actions menu that offers various functions for the page. For example, on the Resource Administration page, the menu contains options to import from Microsoft Excel. 6. Many pages also contain an option to Customize View. Use this to access the column, filter, grouping and other settings that affect the appearance of the page. During the configuration of a Primavera P6 EPPM system, one of the main tasks is to develop the access privileges for all the different users. Users in Primavera P6 require two different profiles to control what they can do in the system; a Global Security Profile and a Project Security Profile. The Global Security profile determines what global items in the system the user can add, edit or delete. For example, do you want the user to be able to modify the Organisational Breakdown Structure (OBS), edit the Enterprise Project Structure (EPS) or define their own project or activity codes? Access to all the global elements of the system are controlled by this profile, which in turn is assigned to the appropriate users. The Project Security profile determines what users can do within projects. This covers such things as creating or deleting projects, adding activities, deleting activities, saving a baseline, importing or exporting data and so on. This profile is assigned to users via the OBS, creating a very flexible way of controlling user’s project access across the system. The options are numerous with 64 global security options and 54 project security options to choose from. Primavera P6 ships with a number of pre-configured profiles including Project Manager, Resource Manager, Read-only rights and so on. However, you will likely need to modify these existing profiles or add new ones to the system to satisfy the needs of your particular organisation. Getting the settings just right for the different roles can be time-consuming and often requires a little trial and error before everyone is happy. To assist you in designing each of the global and project security profiles you need, we’ve created a work sheet that lists all the global and project settings. You can download this free PDF and use it to help you design your security profiles for the different roles within your organisation. Oracle Primavera publishes a tested configurations document with every release of Primavera P6 Professional and Primavera P6 Enterprise Project Portfolio Management (EPPM). The purpose of the document is to inform IT professionals what versions of software such as operating system, database, java, browser and web server should be used for a particular version of the P6 deployment. If you are experiencing any issues with your Primavera P6 system, particularly the EPPM deployment, you should consult the Tested Configurations document for your particular release to verify that you have used a supported browser, java version, database, web server etc., in your P6 deployment. If one of these elements is incorrect it can impact the performance of the system, and possibly introduce errors to its functionality. To save you some searching around, we have included some download links to the Primavera P6 Tested Configs.xls file for some recent versions of Primavera P6 Professional and Enterprise Project Portfolio Management Releases. Please note that the tested configs.xls files are owned by Oracle corporation that hold all copyright and intellectual property claims. This article shows in details how to install Primavera P6 on SQL server 2012. The same concept should apply to any other versions. Installation is divided into 3 Sections. Within our Subscription Packages we can provide functional and technical experts who can configure your implementation as well and the training of your technical staff and cultural learning required to make your implementation a success. With greater flexibility and enhanced customization, the interface for the latest version of Oracle Primavera P6 Professional is a vast improvement over the earlier versions. You can completely customize every Tool Group’s location and its available tools. However, with such flexibility comes a small price; a little learning to do to find where all the new stuff is and what the names of these new Tool Groups are. You need to know this because if you right-click on any of the toolbar areas around the sides of the screen, you get a list of Tool Groups to select from. The problem is; if you don’t know the name for each Tool Group, you’ve no idea what you’re selecting. This spreadsheet can be used to estimate the database size required to support your use of Cobra. Change the values in the Parameters column to calculate the total database size.